Kombiwaggons are one of a number of different types of railway wagons designed to transport ISO containers. They can carry either three 20′ (TEU) containers or one 20′ (TEU) and one 40′ (FEU) container. They are in use in many countries around Europe. 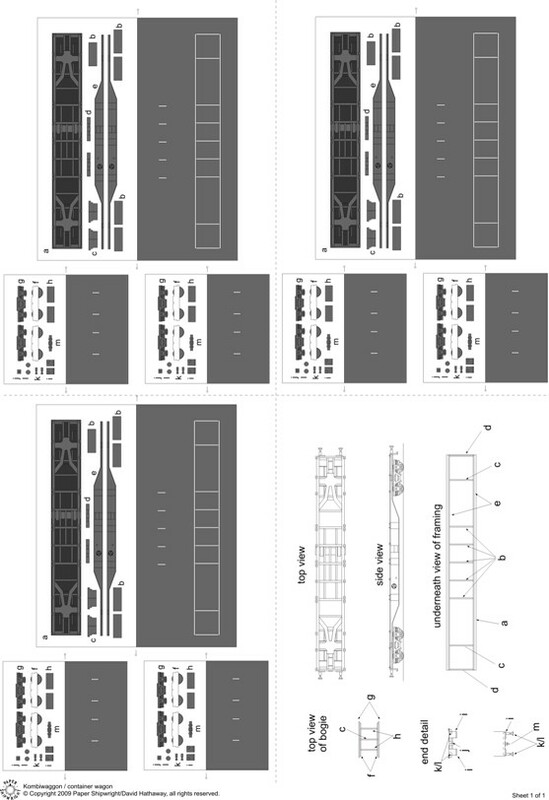 The model comprises a single A4 sheet with 3 wagons and instructions/sketches.